Each level of charging delivers different charging speeds. Different Tesla configurations have a maximum charge power they can accept. 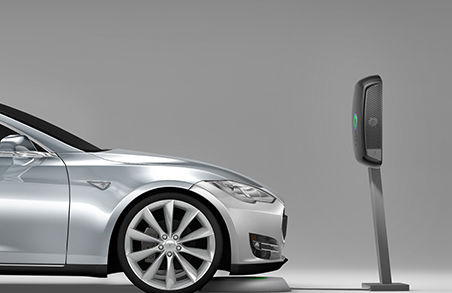 Choosing the right Tesla charger minimizes hassle and installation costs. And maximizes your enjoyment of electric driving. Keep reading to make charging levels as easy as 1, 2, 3. 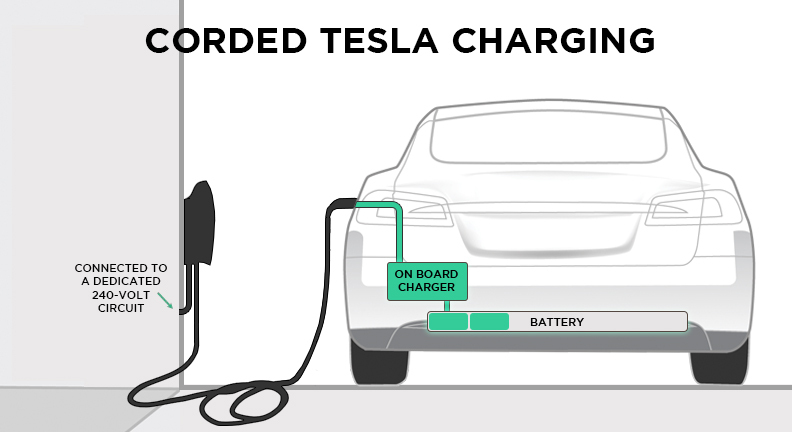 The on-board charger is a component inside the car. The OBC manages internal power flow to safely charge your EV battery. The box-and-cord device has a technical name. “Electric vehicle supply equipment,” or EVSE. The EVSE delivers power from the grid (or other source like solar panels) to your EV’s on-board charger in the first place. Still, everyone tends to call the EVSE a “charger.” So will I for the rest of this post. How Fast Can I Charge? What ARE Charging Levels, Exactly? Levels 1, 2, and 3 chargers run on different levels of voltage. 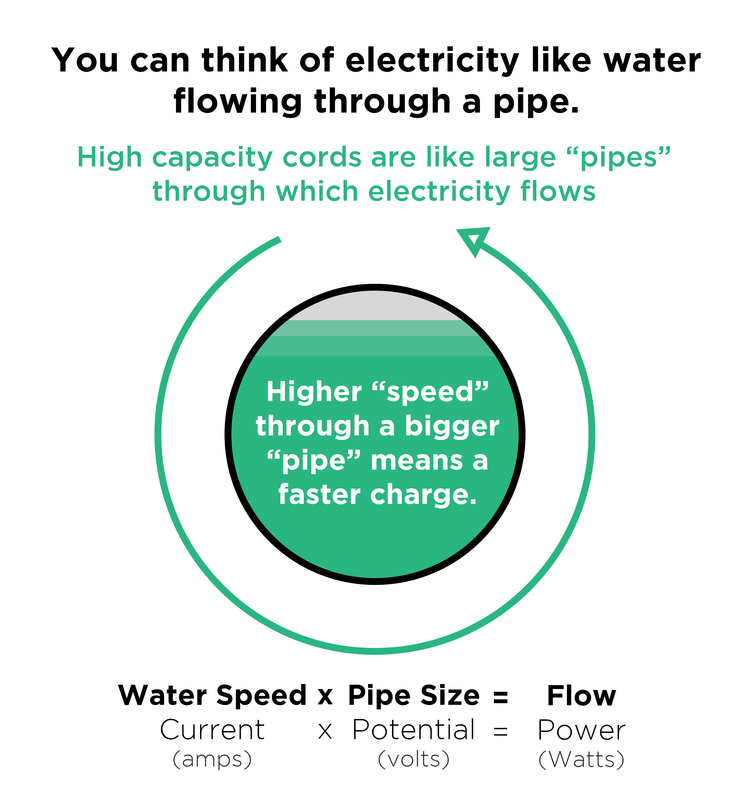 Think of electricity like water flowing through a pipe. Higher current (Amps) flowing through larger pipes (Volts) means a faster battery “fill-up.” Ya dig? Now let’s run through the topline information on all three levels of charging. Why Is Level 1 Tesla Charging Called “Trickle Charging”? Tesla owners can in fact charge via a standard 120V residential outlet with a trickle charging adapter. It’s nicknamed “trickle” charging because it’s really, really slow. No Upfront Cost. A new Tesla owner gets the 110/120V adapter for plugging into a regular ol’ home outlet at no additional charge. Charge virtually anywhere. Standard outlets are super easy to come by. Convenient. Snail status. Most Tesla owners say that trickle charging “doesn’t cut it.” It will take all night to recoup 30 miles’ worth of range. Missing “time of use” discounts costs $$. Many electric utilities offer discounts when the grid would otherwise be idle. Usually in the middle of the night. 240V level 2 chargers provide a bigger “pipeline” for electricity to flow to your Tesla. They can charge up to 15 times faster than trickle chargers. 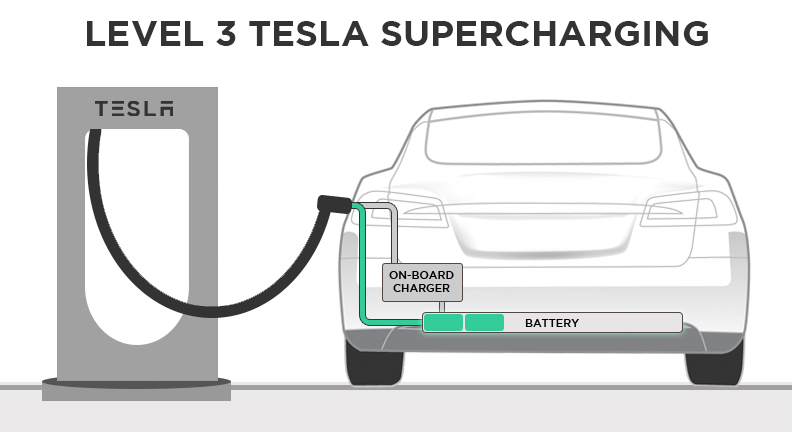 Tesla Mobile Connector, Wall Connector and the wireless Tesla charging station are different types of Level 2 chargers. 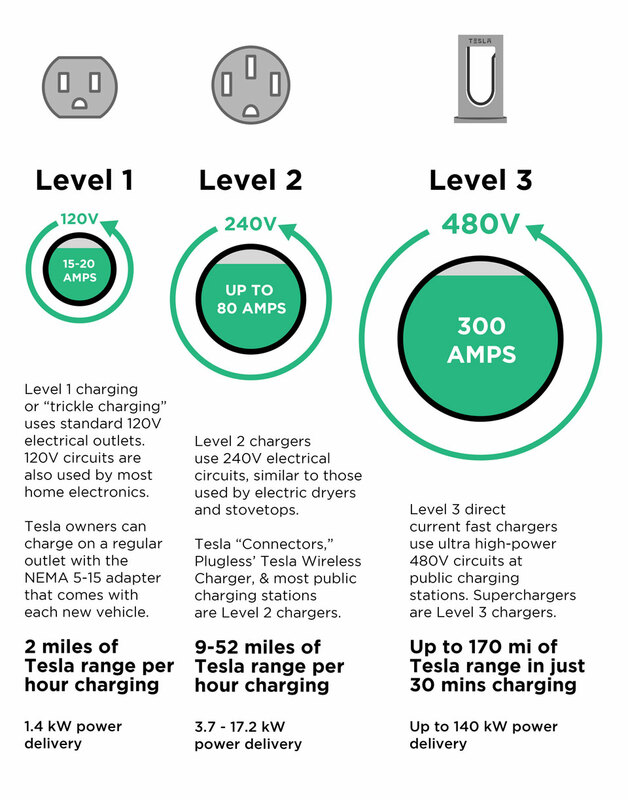 A “Level 2” EV charger is simply any EV charger that can connect to a particular type of electrical circuit — 240 volt, split phase circuits (similar to what an electric dryer uses). But just like different clothes dryer models take different amounts of time to dry your clothes, different EV chargers take different amounts of time to charge your car. Maximum power output of the charger: Different chargers pull different amounts of electrical current through the 240 v electrical circuit. More current = more power = faster charge. Level 2 chargers deliver anywhere from 3.3 – 17.2 kW of power enabling 10-52 miles of range per hour charging. Maximum power intake of your Tesla: This is either 17.2 kW or 11.5 kW depending on which variant you own. All Model S variants come standard with 11.5 kW charging to for a maximum of 32 miles of range per hour charging. Model S variants with the “High Amperage Charger” option can accept up to 17.2 kW of power for a maximum 52 miles of range per hour. Maximum current capacity of your electrical panel – Your home’s electrical panel can likely withstand the draw of either 100 or 200 amps of electrical current. Charging at 17.2 kW of power on a 240 volt circuit may require a home electrical panel upgrade to 400-amp service. 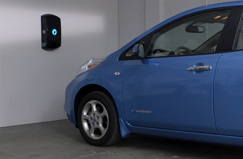 Read more about amperage requirements for Level 2 EV charger installation. How Fast is Fast Enough for Home Tesla Charging? As long as you’re charging at home, you’re charging the way Tesla recommends is best. It doesn’t push your battery with incredibly high charging speeds and it takes advantage of time when your car is parked at night anyway. For US drivers who cover about 37 miles per day on average, a charger that delivers 20-30 miles of range per hour charged is ideal (6.6-10 kW power delivery). Average daily miles are recharged within 2 hours and even a close-to-empty 100 kWh battery can be charged fully overnight. For the vast majority of homes, charging at those speeds will not require major electrical service upgrades to 400 amps. Tesla drivers don’t need to worry about forgetting to charge. In a pinch, there are Superchargers. 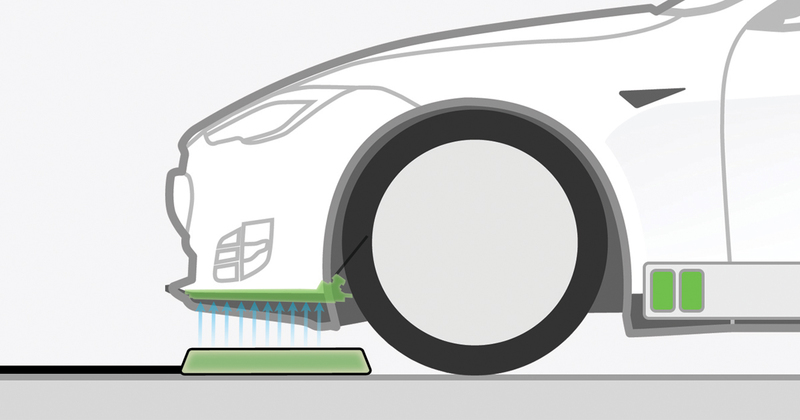 And Plugless offer an automatic, wireless charging upgrade for home Tesla charging (see below). 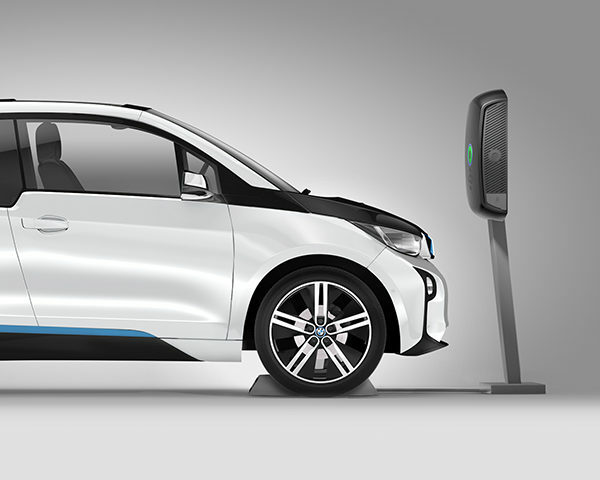 Plug-in charging requires the driver to manually connect and disconnect the vehicle from outlet for each charging session (and to remember to do so). 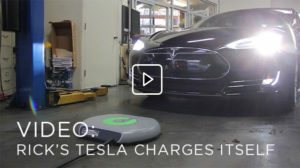 Plugless charging upgrade enables your Tesla to charge itself simply by being parked over its wireless charging pad. A Vehicle Adapter receives the energy and charges your battery. Plugless for Model S is available now, with eventual support planned for Model X and of course Model 3 –get updates here. Plug-in and Plugless chargers both deliver AC power the to Model S’ internal on-board charger. Model S can’t tell the difference between being plug-in or Plugless charging. See the video explanation to learn more. Level 3 Superchargers can take a Tesla from 0-170 miles range in just 30 minutes. It can get to 80% full in just 40 minutes. At the 80% point, charging slows to safeguard battery health. And there are lots of them. View an interactive Supercharging map at tesla.com/supercharger. The Tesla Supercharger map is also conveniently built in to the Tesla navigation system on the 17″ touch screen control panel. Convenient road trip charging is literally at your fingertips. Why Not Have a Supercharger at Home? Other than persistent rumors of a secret home SuperCharger in San Diego, there aren’t any home Superchargers. Why? You could very well purchase another Tesla for the costs associated with providing enough electricity to your home to deliver 145 kW of power. Tesla was never intending to provide free unlimited electrons to everyone for life. But they still offer a pretty darn good deal–fast charging, fuel prices at or under cost, convenient charging locations for road trips. And it is free for the first 1,000 miles or so every year. 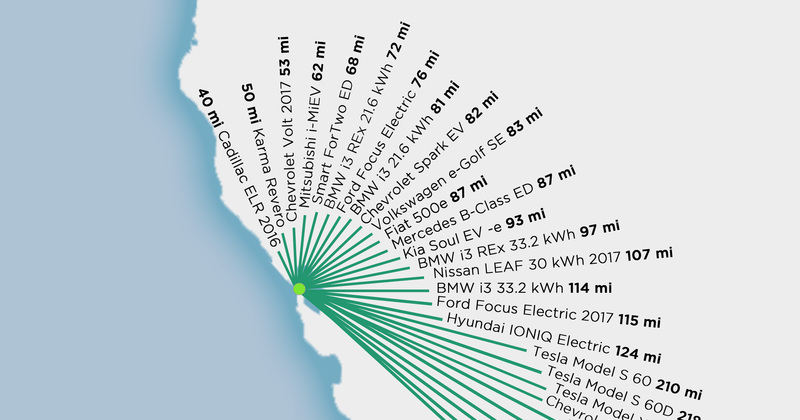 Considering that nearly 90% of charging is done at home or work when your car is parked anyway, 1k miles per year is about as much as you’ll ever need to charge publicly. Charging at home is cheaper than buying gas in all 50 states –even when gas prices are low. And EV maintenance is ⅓ lower than that of a comparable gas car. The deal will just keep getting better and better for EV drivers as the technology becomes more widely adopted. We love hearing from you and we’re happy to help. Charge on!